In theaters April 7, 2017. In theaters August 3, 2011. On October 7, 2008 The Smurfs: Season 1 Vol. 2 comes out on DVD. Released in time to observe the Smurfsâ€™ 50th anniversary this year, this DVD will feature 20 re-mastered and uncut episodes from the second half of the seriesâ€™ premiere season, along with a special bonus featurette. While you wait, here are two preview clips. One is from the DVD and one is behind the scenes interviews with different celebrities that talk about their memories of growing up with the Smurfs. Warner Home Video today announced the October 7th release date for ‘The Smurfs: Season 1, Volume 2’ on DVD. Released in time for the Smurfsâ€™ 50th anniversary this year, this DVD will feature 20 re-mastered and uncut episodes from the second half of the seriesâ€™ premiere season, along with a special “I Smurf the Smurfs!” featurette. â€œI Smurf the Smurfs!â€ – In this featurette, viewers will get to explore the childhood memories of the people who remember the Smurfs the best, while re-introducing the little blue creatures to the next generation. Interviews will walk audiences through everything from the origin and creation of the characters, to the toys and the marketing. 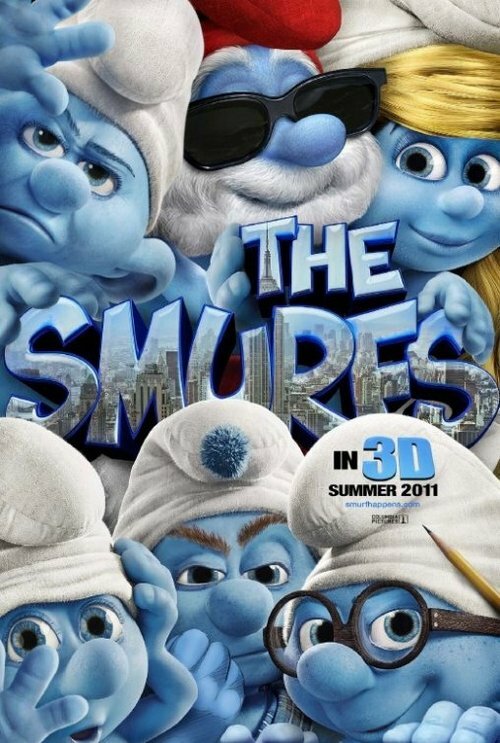 The Smurfs movie is finally official as Columbia Pictures and Sony Pictures Animation announced their involvement. The studios will develop a live action/animated movie based on the classic cartoon franchise. David Stem and David Weiss are in negotiations to write the screenplay. They previously wrote Shrek 2 and 3, The Rugrats Movie and Jimmy Neutron: Boy Genius. Running as part of NBC’s Saturday-morning lineup from 1981-1990, the cartoon was a huge success, winning two Daytime Emmy Awards and running for 256 episodes. Warner Home Video has released The Smurfs: Season 1, Vol. 1 on DVD today featuring 19 re-mastered and uncut episodes on two discs for a suggested retail price of $26.99, which means you could probably find it for cheaper. In fact, Amazon is selling it for only $19.99. 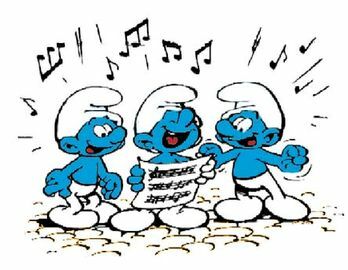 Nominated for an Emmy in 1982 for Outstanding Animated Program, The Smurfs followed 543 year-old Papa Smurf, Brainy, Jokey, Smurfette and their entire village as they face the evil Gargamel and his malicious feline, Azrael, who constantly attempt to eat the blue creatures. 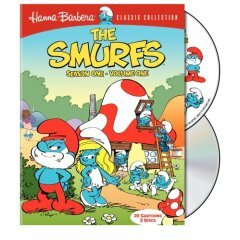 Warner Home Video is preparing The Smurfs: Season 1, Volume 1 for release on DVD February 26, 2008. Outfitted in O-sleeve packaging that features embossing and foil accents, the two-disc box set will contain 19 re-mastered and uncut cartoons from the series’ premiere season, along with a special bonus episode, plus a Smurfs music video. The retail price is $26.99 although you could probably find it cheaper.